Disclosure: I received the following for review from Chasing Fireflies. All opinions are my own. Halloween is coming up in just over a month - can you believe it? It seems like this year is really whizzing by and the kids are really excited about trick-or-treating this year. Maybe it's because they have the most awesome costumes from Chasing Fireflies! Mason is all boy and has seem to naturally gravitated towards police cars and firetrucks. I was worried for a moment there because Kenzie liked to dress him up as Anna to her Elsa so thank goodness he found the love of cars on his own. I should rather say it's an obsession now at age 3. So of course he would make the perfect firefighter-in-training for Halloween. 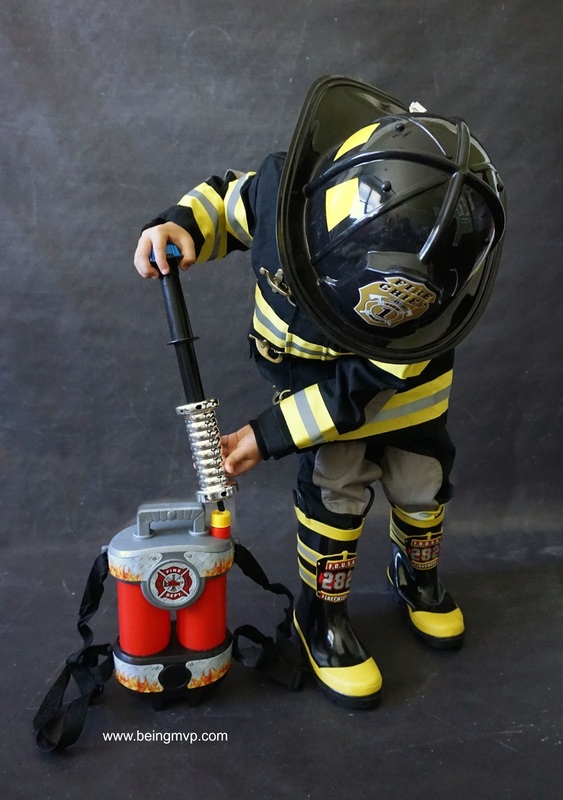 The Firefighter costume for children is fantastic. It features adjustable bib overalls, coat and helmet. The details are spot on and the quality can't be beat. 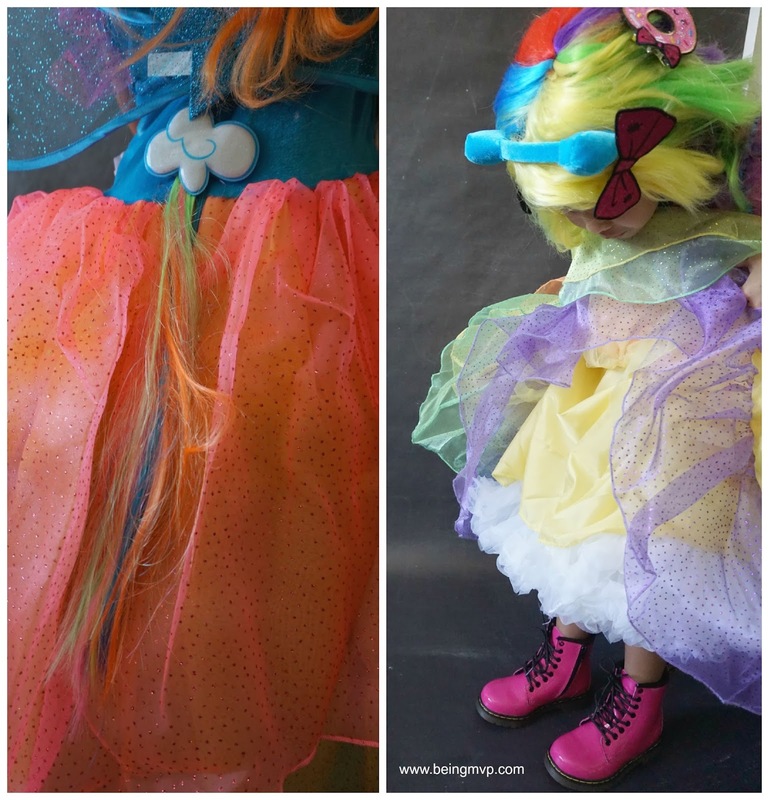 This is no ordinary dress up costume that will fall apart after several wear. This boys costume is durable and made of high quality materials. Mason is just so happy in this costume and would wear it everyday (and to bed) if I would let him. 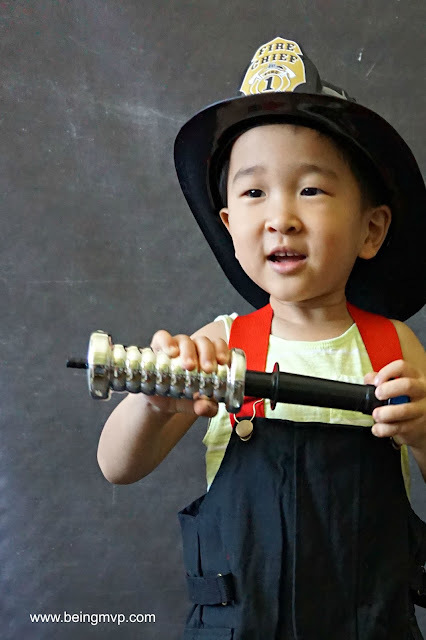 The Firechief rainboots are a must have addition to this blazing costume. They are rugged and perfect for protecting little feet in puddles and pretend fire rescues. Good thing we had an out of the blue rainy day so he could wear them to school as well. A good rescue operation means a firefighter waterpack should be prepared for action. It cleverly straps on like a backpack (adjustable) and has a fun spray with pumping action. Mason is definitely suited up for adventure plus major candy collecting. 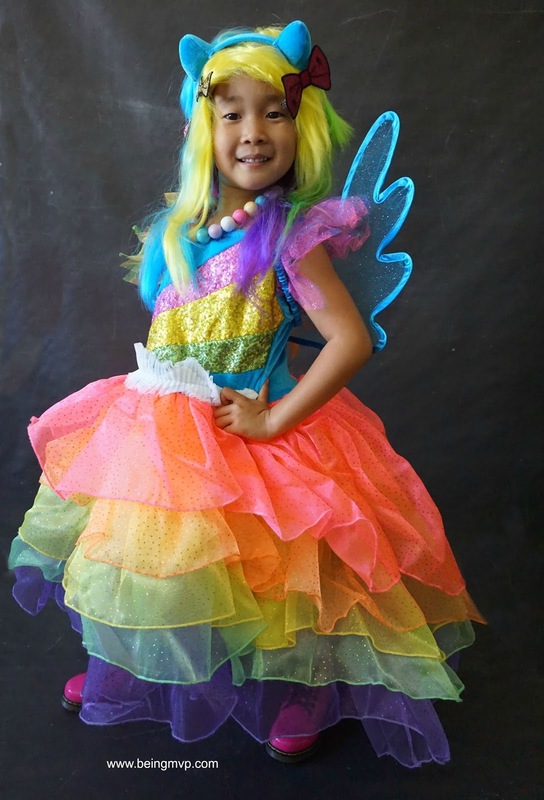 Kenzie is still overtly girly girl and is excited to be one of her favorite My Little Pony characters for Halloween - Rainbow Dash! Included is the dress, headband, tail and wings. 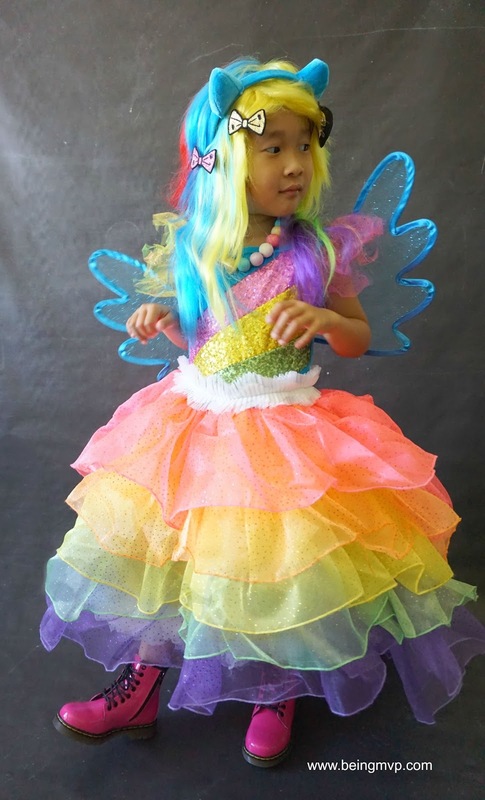 The hi lo skirt allows for ease of walking while going house to house The layered, rainbow tulle skirt is sparkly and just makes one ready for twirling and flying with the harness wings. There is even a fun tail on the back of the dress which is made full with the frilly petticoat. Kenzie is infatuated with the Rainbow Dash Wig. 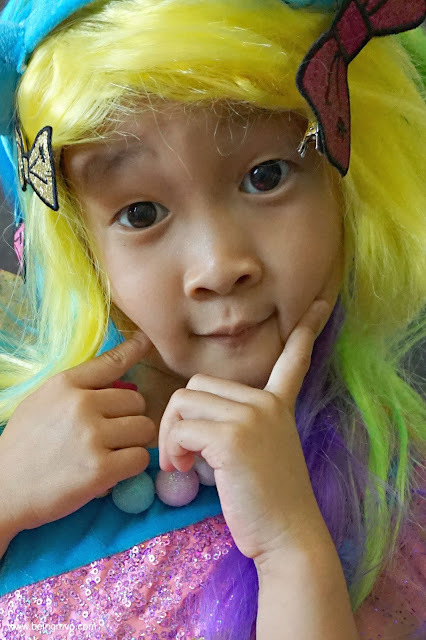 It's her first ever costume wig and so easy to wear. Just braid and tie up her own hair and tuck it right under the rainbow wig. It is actually pretty secure on her head without pins. She is also really into accessories after she discovered mama's stash recently and couldn't be happier with the Harajuku Necklace. She thought it looked like gumballs and pretended to chomp down on them. 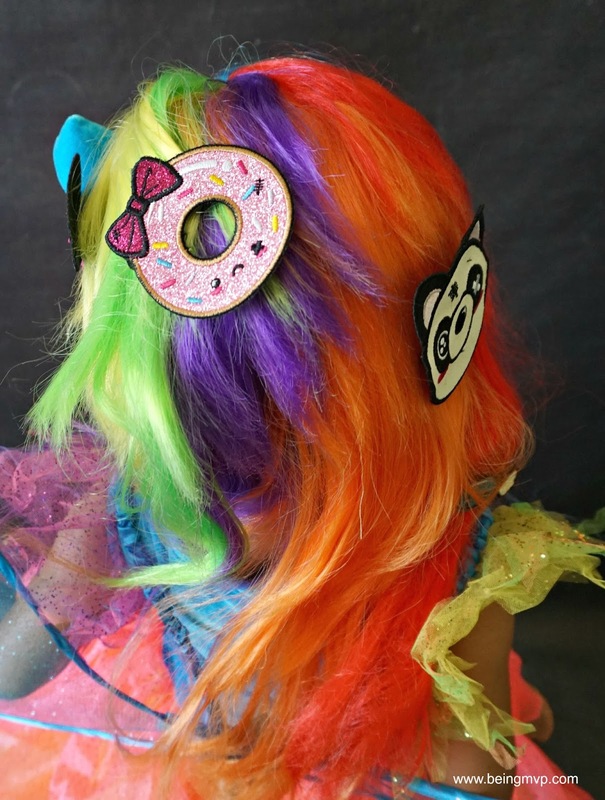 Gotta style that gorgeous rainbow mane with the most fun Harajuku Barrettes. These are an assortment of 6 barrettes that are full of sparkle and can also be clipped on clothing. Kenzie placed these all over her wig and even shared some with her baby dolls. She likes to wear them even when not in costume on the daily. I actually want to "borrow" that donut one myself! 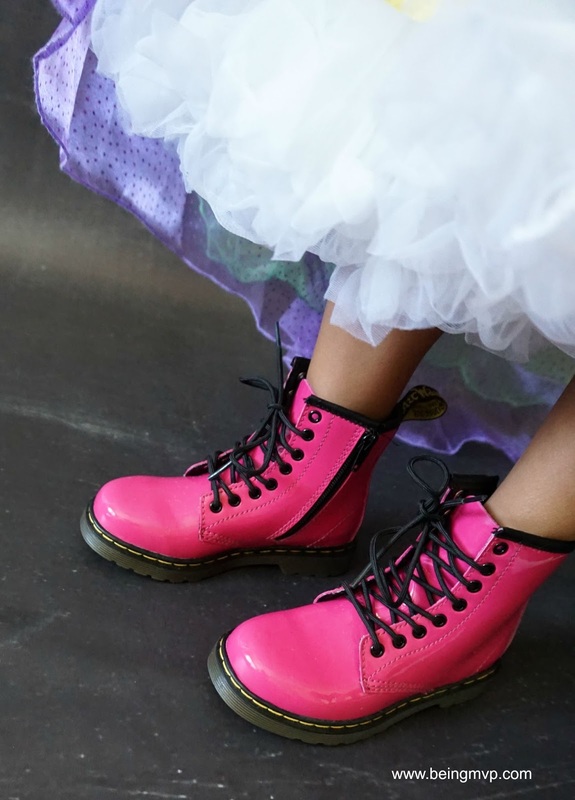 The best flyer needs some awesome kicks and the Hot Pink Dr. Martens Boots are just the pair. They are classic but edgy and comfortable for Kenzie to even wear to school. The side zipper is also easy for her to zip up and down. The kids definitely can't wait to go out to trick-or-treat in their amazing costumes from Chasing Fireflies and this year mama is going to join in! I used to love dressing up for Halloween and going to parties (before kids) and I've noticed over the years that some parents still dress up when tagging along with their kids. 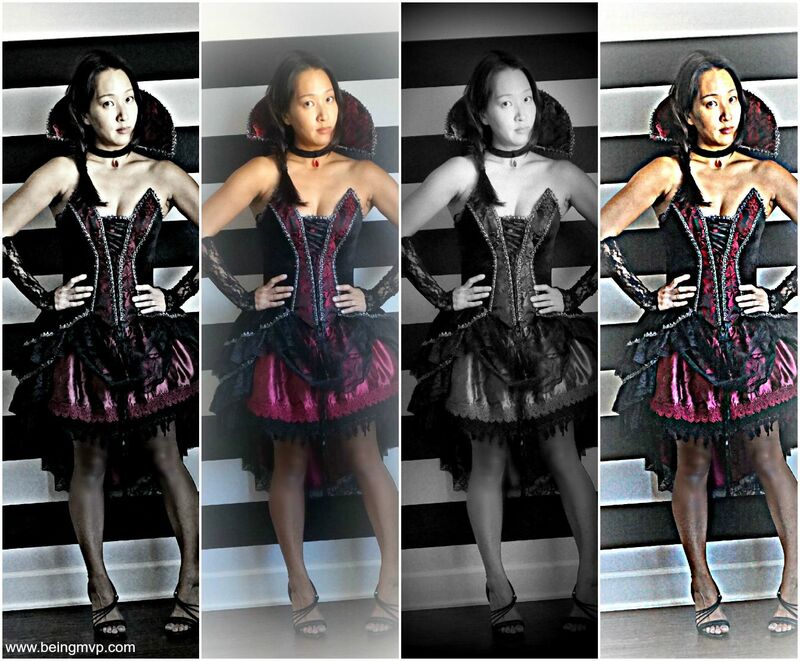 Since I'm a bit obsessed with the vampire and zombie shoes, I am excited to wear the women's vampire costume this year. I love this costume. The corset style bodice is very flattering and comfortable while the petticoat skirt gives it a romantic fullness. 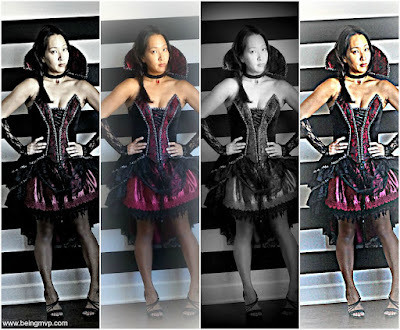 I definitely need to pick up some fishnet stockings as Kenzie pointed out and even though I gave my scariest glare, the kids just started laughing when "vampire mommy" arrived. Maybe I need some fangs? Chasing Fireflies has so many wonderful costumes to select from and you will definitely not be disappointed. The quality is topnotch and collection unique. What are some of your favorite Chasing Fireflies costumes? What are your kids planning on dressing up as? OMG the cuteness!! I love both of their costumes! They are adorable! Those costumes are adorable!!! I love that she's wearing those shoes with a dress....priceless!! Adorable costumes. It looks like good quality too. 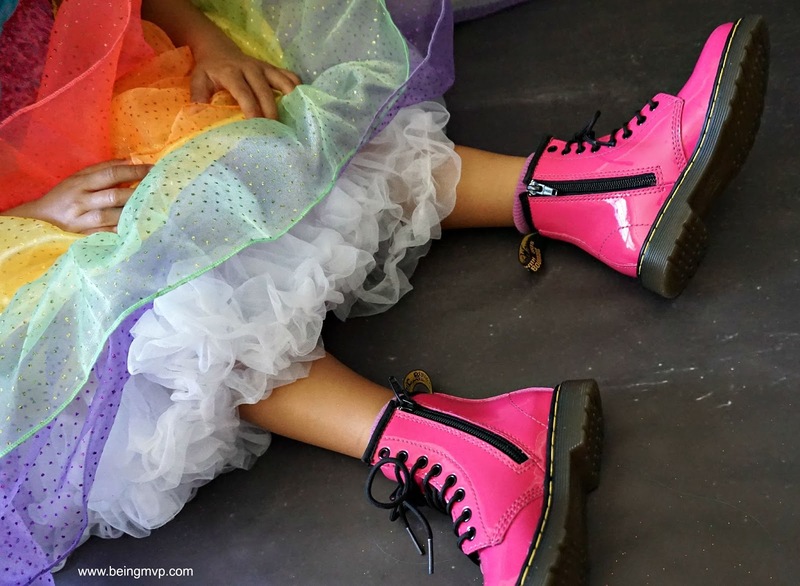 My oldest noticed the boots immediately, but I must admit I was impressed by the skirt. These costumes are way too cute! I love them. I have to check out this site. Rainbow Dash with the hot pink Docs is THE CUTEST!! 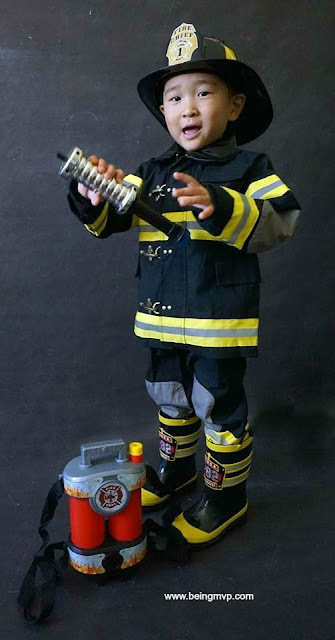 I also really like the fireman costume because it's something I think my kiddo would pick. You all look great in your costumes! My family all wants to go as villains this year. I need to check out the costume selection.